One of the things that I really enjoy about blog hops that start out as a kit is that there are times when my muse gets a workout. 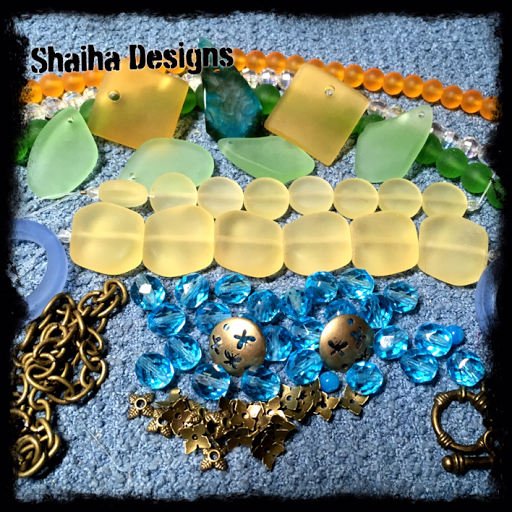 I have a tendency to avoid certain beads or colors. Not so easy to do when someone else chooses the beads. This is one of those kits that forced me to grow. Some gorgeous beads and all the brass findings. But all that yellow and orange! I don't use that color. Okay if I am going to go yellow, I am going to go all the way. Of course, I had to have green also (one of my favorite colors). This necklace is all about the sun & all the plants who worship him. I knotted it all up with some Chinese cord and a brass clasp. Now since this is a hop, be sure to check out what these other wonderful designers have done. Kudos to you for using a color that is not easy for you. Your necklace is lovely. Yellow is my least favorite color also. Your choices really carried through the sunny day theme! Love the green and yellow with the yellow cord. Yellow and orange are my favorites, so your kit looks luscious to me! But I know the feeling. Your muse did her job; your pieces are wonderful! Very sunny day! 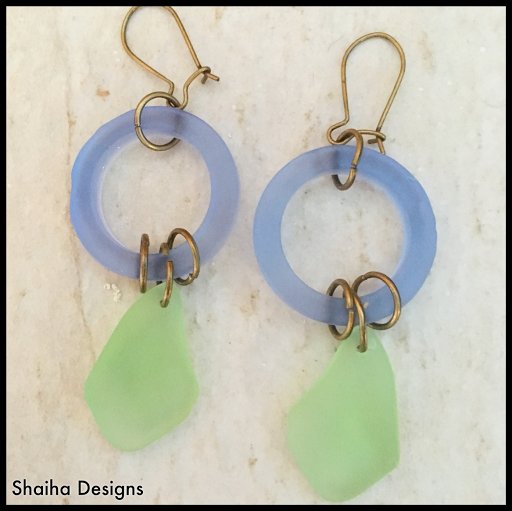 Shaiha - I think you did a great job with a color that is not your favorite. 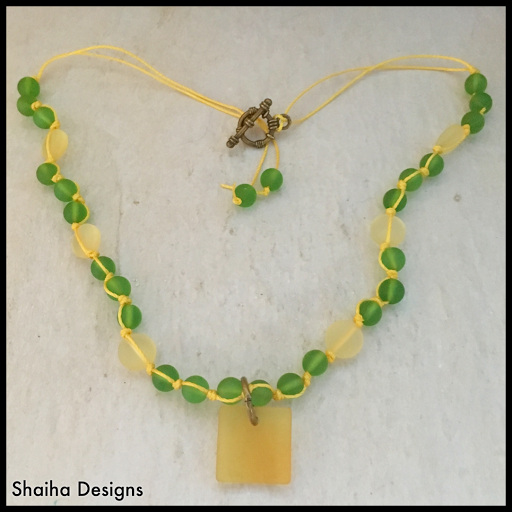 The yellow and green necklace looks great - like a refreshing lemon lime beverage. Thanks for being in the hop! The earrings are super cool . . . I love those colors paired with the brass. I thought this kit was challenging also. YAY us!!! We did it!! !